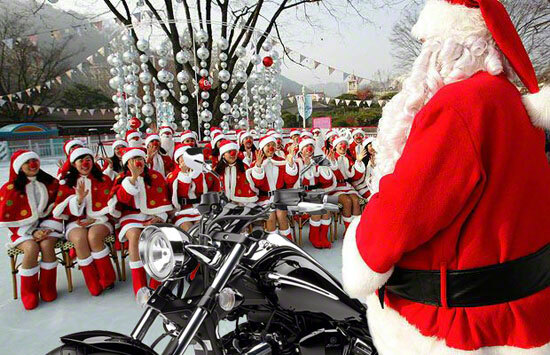 Are you ready for your Christmas motorcycle dating? A year has passed by again and the Christmas is coming. Do you prepare well the Christmas present for your motorcycle baby? If you have no fresh ideas and don’t want to be always a single biker man, you might as well take her to enjoy a romantic motorcycle dating. For example, you can buy a proposal ring to ask her to marry you. Even though she may not accept your propose this time, she will absolutely feel your sincere heart, which can help to increase the success rate of your next propose.